Growing up as a young harpist, I experienced pivotal moments in my life, those that made me absolutely sure I would indeed become a musician, and ones which I shared with my young colleagues from across Australia, in the Australian Youth Orchestra and across the world in the World Youth Orchestra. 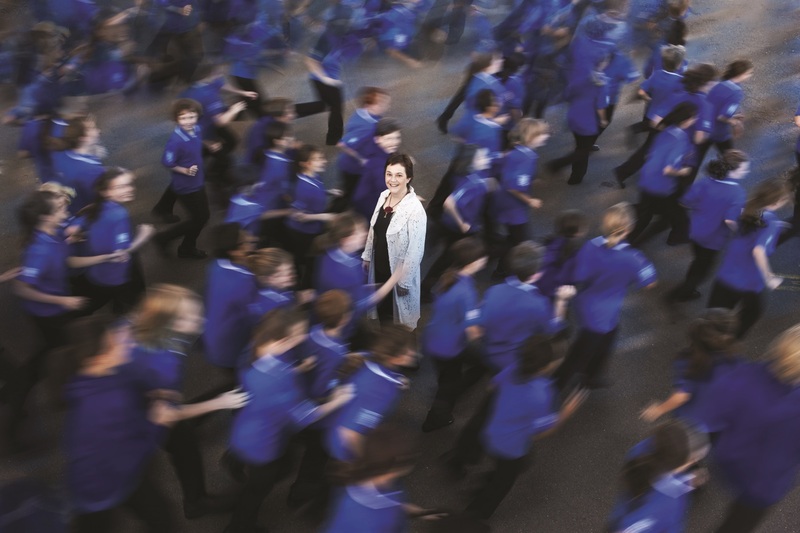 So, having founded the Sydney Children’s Choir in 1989, it seemed a logical step to offer a similar life-defining opportunity to young singers from across Australia. 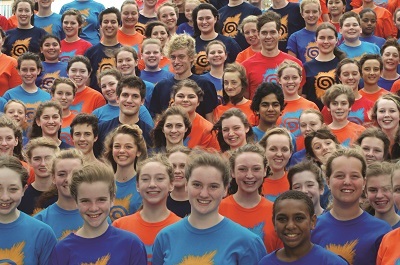 In 1997, Gondwana Voices – the National Children’s Choir of Australia – came into being. From over 800 applicants, just 60 were selected to come to Sydney during the January summer holidays for a ten day rehearsal and performance season. That first choir had amongst its ranks children from right across Australia, from cities and farms, regional areas and very remote areas of our vast country. Many of these young singers have gone on to become professional musicians in opera companies, symphony and chamber orchestras, whilst others are thriving in other professions and still fondly remembering the significant part Gondwana played in their development. In those early years of the Gondwana National Choirs, it would have been impossible to imagine what Gondwana Choirs was to become. 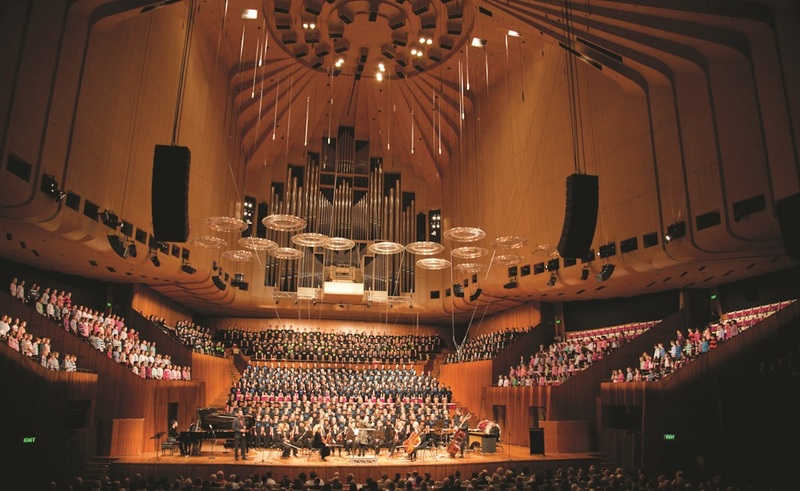 In 2012, National Choral School was held at Macquarie University about half an hour’s drive from the centre of Sydney. In this ideal setting, 300 young musicians, staff and volunteers lived for two weeks in college accommodation surrounded by tall gum trees complete with kookaburras and screeching cockatoos. There was ample room for young people to run around and have fun, to sit together under the trees and help each other with their sight-singing or even to practice the bagpipes! The choirs of Gondwana National Choral School form part of a family of choirs which together are called the Gondwana Choirs. These include the company’s founding choir, The Sydney Children’s Choir (now with approximately 400 participants) and more recently the Gondwana National Indigenous Children’s Choir. Gondwana Choirs is also involved in numerous outreach choral projects. The Gondwana National Choral School has become a strong choral community which links not only the young singers, composers and conductors but also the conducting and artistic staff, the administration team and the army of volunteers whose dedicated involvement allow this unique event to take place each year. For the artistic staff, two weeks of sharing ideas about music, choirs and life rejuvenates and inspires and affords the chance to make choral plans for the country. The singers at Gondwana National Choral School are aged between 10 and 25, and represent each state and territory of Australia. Many travel over 4000 km to participate in one of four choirs at National Choral School. There is of course Gondwana Voices, which has undertaken many international tours and performs with leading ensembles in Australia such as the Australian Chamber Orchestra. Gondwana Voices performed at the World Symposium on Choral Music in Rotterdam in 1999 and in 2012 will sing at the World Choral Summit in Beijing. When singers graduate from Gondwana Voices, they join the Gondwana Chorale, an SATB youth choir (ages 17-25), which is now developing a strong musical personality of its own. There is also a large high-school age SATB choir called the Gondwana Singers and then Junior Gondwana, a second children’s choir for singers 10 to 12. The atmosphere of Gondwana Choral School is one of great energy and joy. The young people and their eight conductors work extremely hard, each learning a challenging program from memory over the two weeks. The rehearsals, however, are extremely positive and inspiring, driven as much by the passion and enthusiasm of the choristers as by their conductors. The schedule is very flexible with conductors and choristers setting the rehearsal timetable together. A particular emphasis is placed on the developing musical independence of the singers. Members of the Gondwana Chorale, Gondwana Voices and Gondwana Singers are responsible for their own learning of parts. They teach each other. Leaders are not specifically assigned to the groups as a strong spirit of collaboration is encouraged. This independence is clearly reflected in the performance style of the choirs. 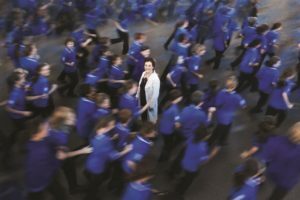 As National Choral School marks an important time in the Australian choral year, it is most important for the choristers to experience a wide range of musical genres and styles. 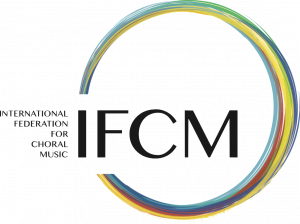 Yet as a national choral organization there is a sense of responsibility in driving a future for Australian choral music so although each of the choirs has a broad repertoire, there is a strong emphasis on new Australian music. There is no doubt that it is in this music that the choristers feel most at home. They will comfortably sight- read music which is constantly changing in time signature, most often in mixed meters, yet they can seem strangely puzzled by Vivaldi. 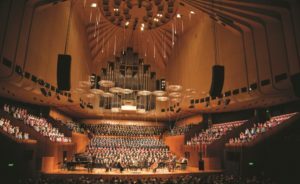 The list of Australian composers whose works appeared on the program for National Choral School 2012 included Stephen Leek, Matthew Orlovich, Dan Walker, Michael Atherton, Katy Abbott, Sally Whitwell, Annie Kwok, Ben van Tienen, Sue Monk and Lachlan Hurst. All the singers at Gondwana are encouraged to take musical risks and to explore all choral possibilities. Each of the singers is also involved in improvisation and composition workshops throughout the school as well as workshops in other art forms. A special project is undertaken each year. In 2012 this took the form of a collaboration with members of a well known Australian band called The Cat Empire. All choristers participated in workshops with Felix Riebl and Ollie McGill (guest artists), some of the choirs recorded tracks for an upcoming event and in the final concert, the massed choir performed choral arrangements of two of their works. Gondwana National Choral School is also the home of the Gondwana National Composer’s School. This year we had 16 young composers between the ages of 16 and 21 exploring the art of composition of choral music with renowned Australian Composer Stephen Leek. For the participants in the Gondwana National Choral Composer School the challenge is to create a new choral work each day. Each work is work-shopped and developed by the singers of the school and the composers receive feedback from their peers and conductors. In 2013 the Gondwana Composer School will be open to international participants in the Gondwana International Composer School. The life of a composer can be a lonely one, so the opportunity to not only hear their music come to life but to form life-long friendships with other young composers and the performers of the future, is one which is truly pivotal in a young composer’s development. Four young conducting interns were given the opportunity to work with the choirs and next year will see the beginning of the Gondwana International Choral Conducting Academy as part of National Choral School in conjunction with the University of Queensland. The two, intense weeks of National Choral School go by extremely rapidly and many tears are shed at the end of the season. The vastness of the country and therefore the expense of bringing singers together usually allow for the choirs to each have only one additional season during the year. For Gondwana Voices or Gondwana Chorale, this would normally be a recording or touring season or participation in a festival either here in Australia or overseas. We only ever have three days of rehearsals prior to these performance seasons. This enforced brief rehearsal period in some ways contributes to the musical identity of Gondwana. There is always a great intensity in performance and a palpable joy of being given the opportunity to sing together once more. Although many comment on the high standard of the choirs and the clear musicianship of the singers, one always wonders what standards may be achieved if these singers worked together more often. But then surely something of the spontaneity and joy in performance would be sacrificed.